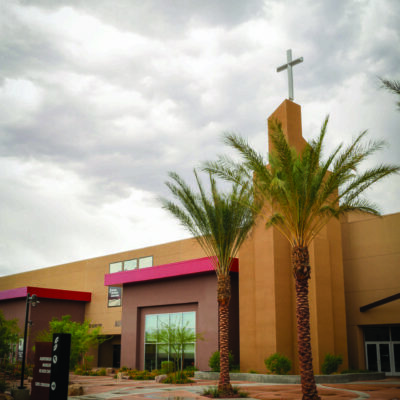 Casa de Luz (House of Light) is a Christian community resource center located in the heart of downtown Las Vegas’s Gateway Neighborhood (Also known as the Naked City).The Gateway Neighborhood is one of Las Vegas’ poorest neighborhoods, located behind the Stratosphere. Since opening its doors in August 2009, Casa de Luz has distributed hundreds of thousands of pounds of groceries to hungry families, opened community gardens, helped usher in a dramatic reduction in neighborhood crime rates, and assisted kids and adults in taking next steps spiritually, vocationally, and personally. All through the constant, loving presence of light and hope. Casa’s good work has resulted in a happier, healthier, more productive neighborhood and helped to break the cycles of crime, poverty, and abuse. What: Casa de Luz operates a food bank Monday-Wednesday. They need assistance sorting, preparing bags, and distributing food. Casa participates in weekly outreaches to the local neighborhood (typically on Saturday mornings, but other days/times can be arranged.). Outreach includes distributing food overages from the food bank, passing out information related to Casa and its services, community BBQs, and laundry service.